We’ve been spending the last several weeks getting rid of more STUFF and revamping our furnishings. We are getting ready for our next chapter …our road to adventure…our move to Texas. It’s exciting because it has been quite some time since I lived in my hometown AND Juan as never lived in this part of the country. Juan LOVES the Southwest and has enjoyed our trips to Texas and New Mexico….he is a big lover of history and has always been fascinated with Billy the Kid. I do have mixed emotions as I am leaving many of my family members whom I love so much! However, we are not far from one another and a quick hop on a plane or even a drive…will get us together quickly! So join us this week for the Smith’s family move….. Here are some things to think about when you are looking to “right-size your life” (looking to downsize your home etc) and how manufacturers are listening to the consumer needs. Living/Dining rooms molded into one room with the kitchen seems to be what you see (obviously) in small spaces. So having the ability to hang out comfortably…eat in style or “chillaxin” (I know it’s really not a word but my nephews and nieces use it a lot) and gather around the “entertainment box” called a TV. We have a very sleek 40 inch screen TV in our small space. We have it on top of a metal style console that has the ability to store our other equipment (blue ray player, music DVD’s plugs etc) neatly away. Trends for 2012 say that furniture companies are creating better/sleeker consoles to accommodate any size screen TV and different ways to place or hang on the unit itself. Trends state that hanging the TV on the wall will be fading….I find that hard to believe…we will see. Sectional sofas are always growing and changing. Nowadays, manufactures are giving the consumers multiple options for the casual urban young shopper looking for a comfortable couch. The ability to create and add how many sectionals plus options to add a chaise on either side gives consumers countless ideas to place furniture in any challenging small or large space. Juan and I currently have a cool teak sofa and chair, however having the sectionals to create two small love seats facing one another or a sofa with chair on one side etc…would give me the option to change my space when I am having a party or just have the urge to make a change. Bringing back a larger coffee table seems to be the style for 2012. If you were a kid growing up in the 60’s or 70’s, you remember the times you were able to take your dinner plate to the big coffee table so you could watch your favorite program…what a treat. Trends for 2012 say they are bringing back the larger more functional coffee table especially since family gatherings are more casual and small space living needs to have multiple eating options. ﻿Juan and I have a cool mid century modern coffee table (shown above) that has four small additional tables underneath that can pull out and provide additional eating spaces for our guests or for when we want to hang out on the sofa! Resource Furniture (an awesome company) has wonderful options as well. One in particular gives you the ability to eat and work at a lower seating level PLUS bring the table up to you verses you having to lean down. Be sure you check out their website Resource Furniture for additional space saving furniture needs. Another type of trend many are speaking of is storage in or under beds. Not just for the kid’s room…but for the adults too! Juan and I did purchase a sleek bed from IKEA and enjoy having the ability to have four large drawers we can access easily. 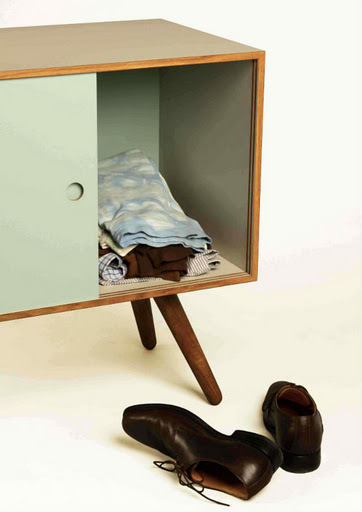 Many designers seem to be doing away with having so many chest of drawers in a bedroom. Making your bedroom a retreat with a possible writing/office space or a comfy chaise to read a good book are more popular options than trying to add drawers etc. What’s in for 2012 is the ability to store within a platform bed or other solutions that can go into a closet and have a beautiful bedroom retreat! Well… based on the few articles I read….Juan and I have made many of the same choices in regards to “What’s Trendy” without even knowing it. Except for the sofa…maybe I should take Juan out this weekend for a little bit of furniture shopping. He’ll groan when I tell him. (wink wink smiley face). 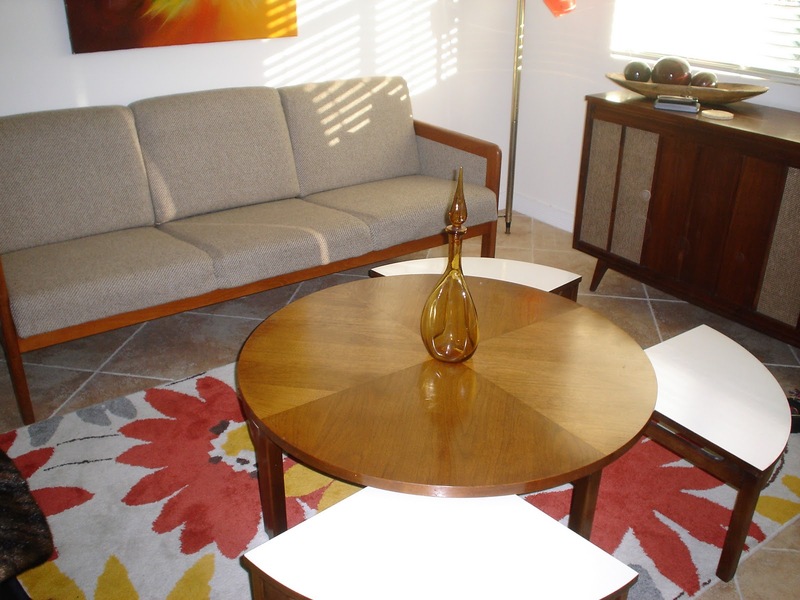 Thinking back on the past…I LOVE the 1960’s and 1970’s style furniture. It had such style and “swankiness” about it. One piece I remember well is a “sweater chest” my father had. It had two sliding doors that opened up and had adjustable shelves for your cool sweaters. I loved when he would open up the sliding door and reveal what super cool style sweater he was pulling out for the day. I feel at times that we have lost the art of “swankines” when it comes to furniture. Sometimes I feel we are just trying to get the basics accomplished…”Yup, this can hold a lot of stuff!” and call it good. 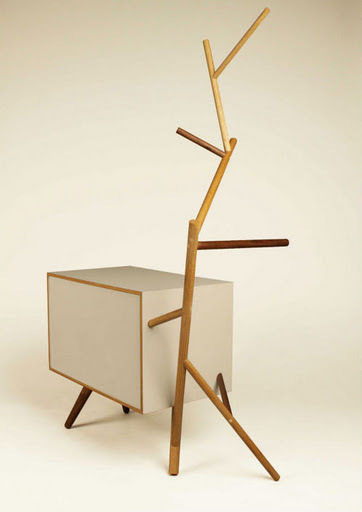 However, now there are wonderful new artist out that there that are trying to combine small space living, multi-purpose furniture and art all in one…and here is a great piece of furniture created by Edward Taylor that I keep seeing in FX The Business of Design, ICON, AnOffice Magazine, and most recently in Design Milk. He calls it “The Show Off and it truly is a show piece. What a great way to combine some fun and organization plus “swankiness” in a beautiful piece of furniture. On his website it states…Iit’s quite unlike anything you’ll have ever seen before. 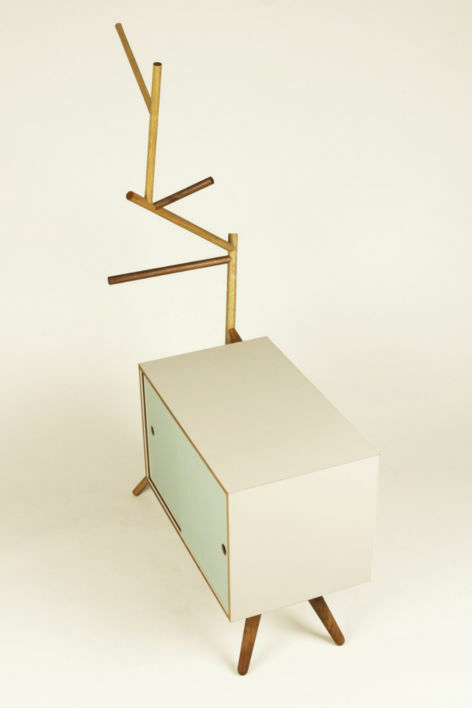 What it represents is a new breed of furniture – one that refuses to comply with convention, or adhere to tradition – in order to give you, the user, exactly what you want. 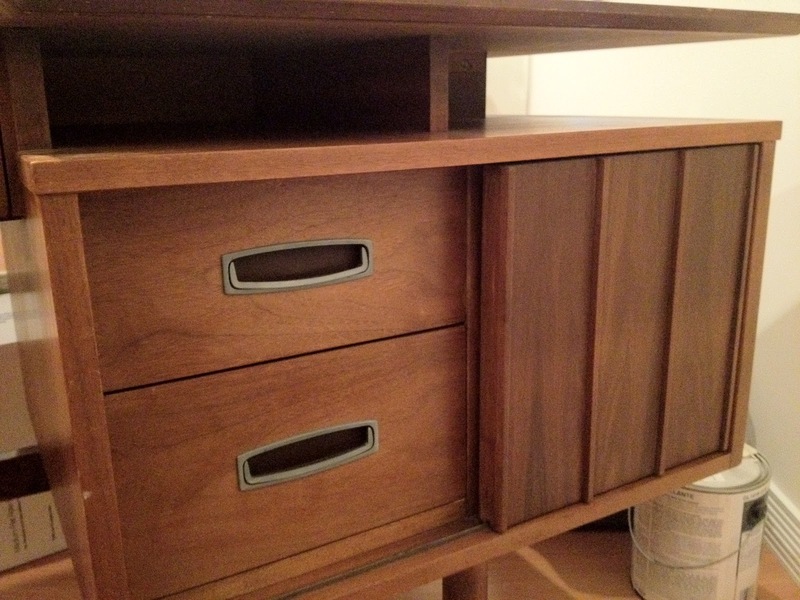 I have to admit…the main storage piece reminds me a lot of my father’s sweater chest….That right there had my attention. Yet the addition of the “tree style” stand really adds some fun and uniqueness to the piece. I think this is a cool piece that would look great in any room! Be sure you check out his website. Cool company based in the UK (I believe) called Kitchoo! 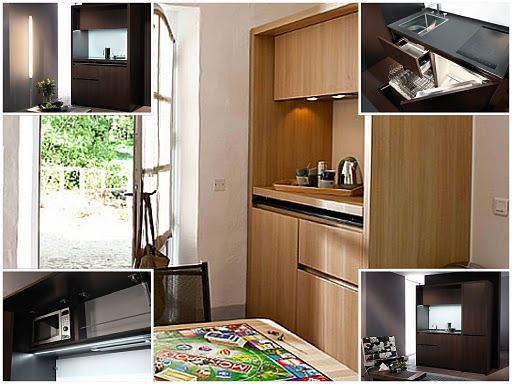 (Cute name)They focus on compact kitchen and bathroom designs. You must check out their website (Kitchoo) to see a full line of products based on your “micro-space” needs. This truly opens up anyone’s idea of small space living. 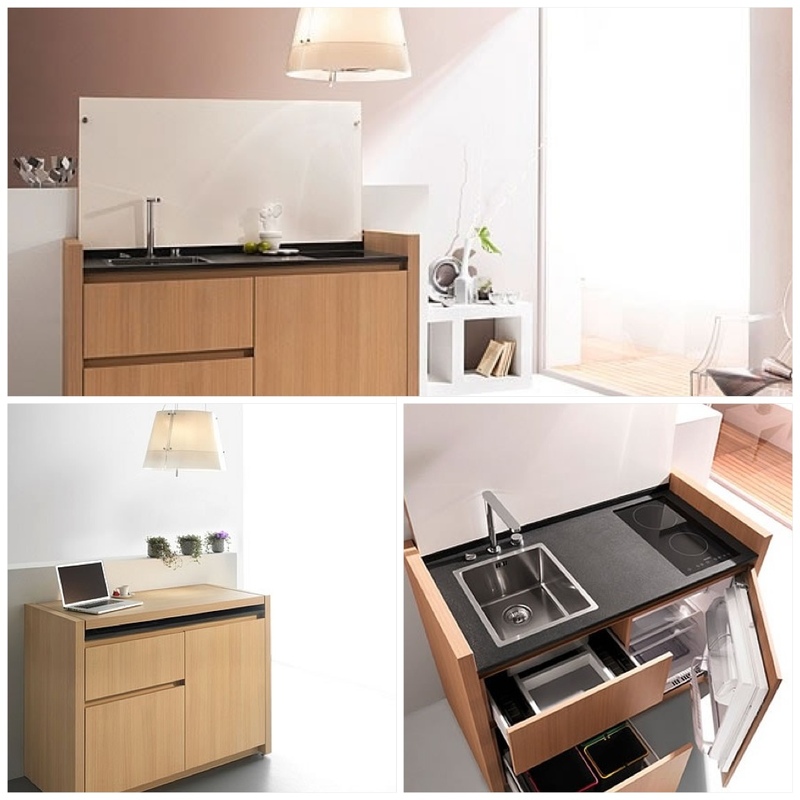 ESPECIALLY… if your desire is to have an ocean view on the west coast or a posh pad in Manhattan….these micro kitchens and baths are a great addition to any size living space, even 135 square foot apartment. 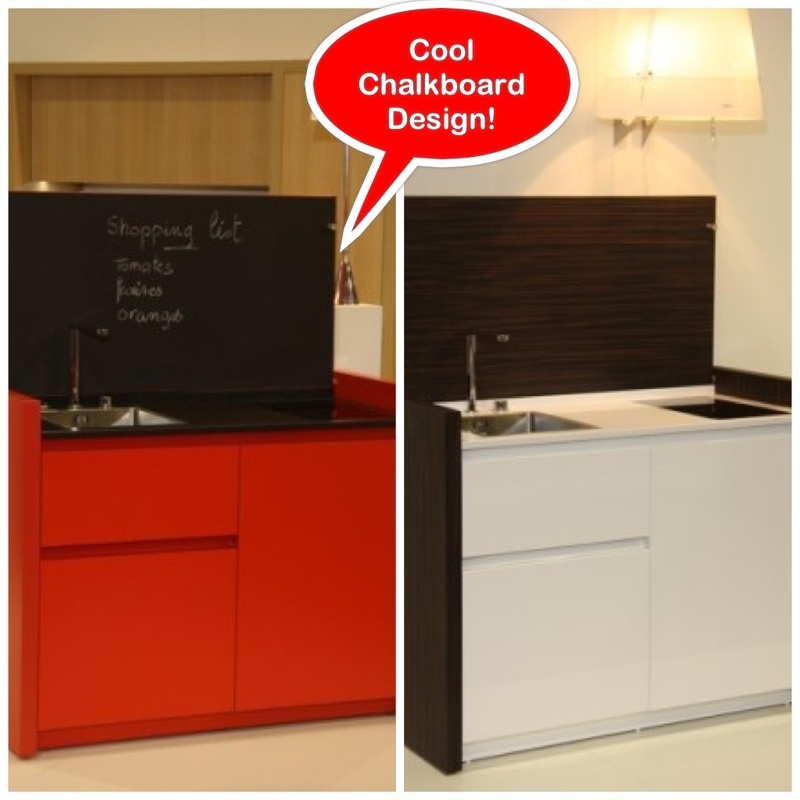 They offer great color options to meet all your small space designer needs! I can’t believe it…time has gone by so quickly. This time last year we were busy building our IKEA bed and finally moving in to our 900 square feet of happiness! We couldn’t be happier…so much so that we question our thought process of going even smaller. 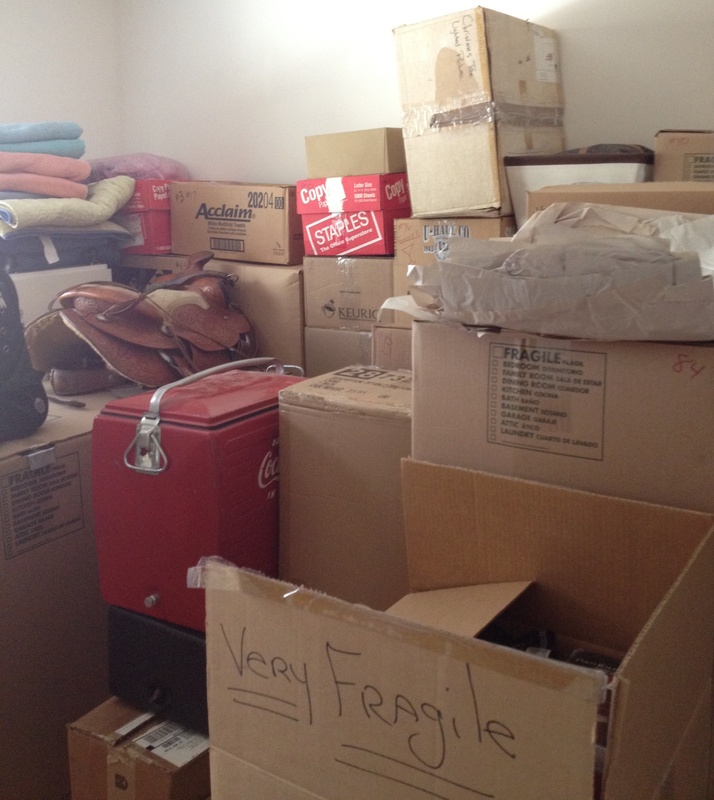 Not that I am wishing to start the whole moving scenario again….just thinking if we could manage a smaller space and I am confident we can. 1. When you think you’ve eliminated enough things, go back again and eliminate more. 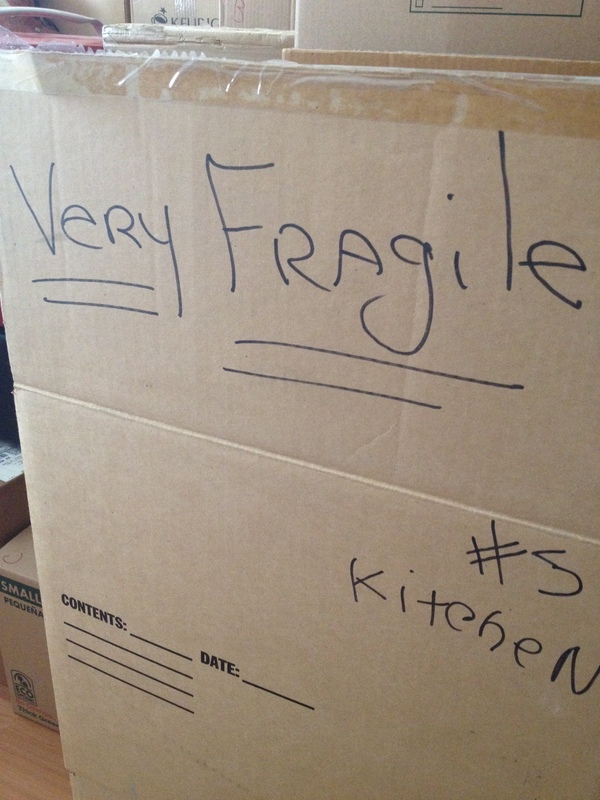 It’s important to really think about the amount of furniture you are going to have, clothes, dishware etc. 2. Rethink furniture! If you have the large overstuffed sofa with the huge arms, this may not be the best piece to add in your small space. Seek out mid century modern furniture through vintage stores or Craigslist as well as stores/manufactures that specializes in small space living such as IKEA, Resource Furniture, Desk Murphy Beds etc. 3. Eliminate three sets of “whatever”. You do not need three sets of dishes, 8 styles of stemware, 12 packs of utensils or huge multiples of anything. Use the good dishes…keep them… enjoy them. 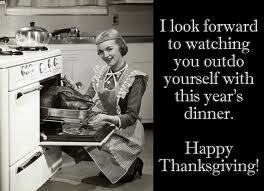 Don’t leave them covered up to use once in awhile…use them NOW. 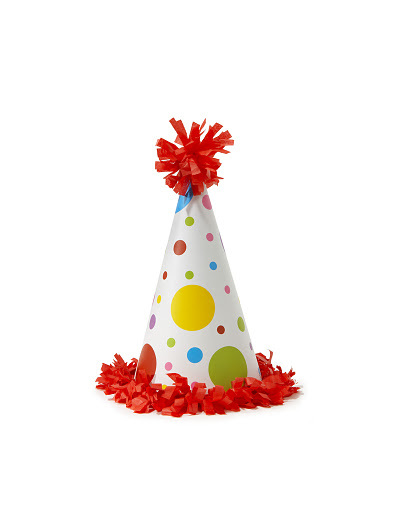 Time flies very quickly and the next thing you know you will be handing them down still unused to the next relative. 4. Go back to step 1. I am sure there are some things you need to go back and get rid of…go ahead do it! 5. Utilize and invest in storage solutions! I highly recommend taking the time and either building or purchasing all kinds of storage solutions for your small space. It is amazing how easy it makes managing the space on a daily basis. I purchased dividers at IKEA for our large drawers that are under the bed. They help keep my “unmentionables” (My Mom’s fluffy way of saying bras and underwear) as well as socks, pantyhose, trouser socks and scarves…easy to have a place for everything and everything in its place. Other storage ideas such as containers for many of your food items such as flour, sugar, brown sugar etc. Place them in beautiful containers on the counter which can free up space in cabinets. I could go on with all the storage ideas; bottom line is that organizing your “STUFF” is essential in a small space living. 7. Keep It Simple! For me, I like it clean and simple at home. I love seeing the beautiful wood of the furniture and simple furniture. I do not like having a ton of “knick-knacks” everywhere, tons of paintings…lots of STUFF everywhere. Remember you have to clean all that stuff often so keep it simple. 8. Always check in with Step 1. If you have spent time in your new small space and find there are things you THOUGHT you were going to use and did not, maybe it’s time to let go. There seems to be some sort of “pack-rat” in all of us. So many of our parents and grandparents did with so little and now our generation is about accumulating and gaining more and more STUFF in our lives. It’s time to lessen the burden and get back to enjoying life and enjoying a simpler lifestyle. Happy 1 year anniversary in our 900 square foot home. P.S. Juan says that a great alternative to a missing spare bedroom…is called a hotel. I have learned to LOVE Craigslist! I can sit on the couch with my iPad and search till my heart’s content. It is great to see midcentury modern “anything” and vintage Christmas stuff too. Now I know I am in a small space and I am not rushing out to buy more STUFF! However, there are times I find great things for great deals. For small space living, you can find mid century modern furniture and other great items that will fit in a smaller house. I’ve seen a lot of IKEA as well as CB2 (It is the more modern side of Crate & Barrel). From our recent posts…we are cleaning out and “re-purposing” our spare room and we’ve decided to make it an office/workspace dedicated to working from home and also managing our art supplies for our other business ventures! 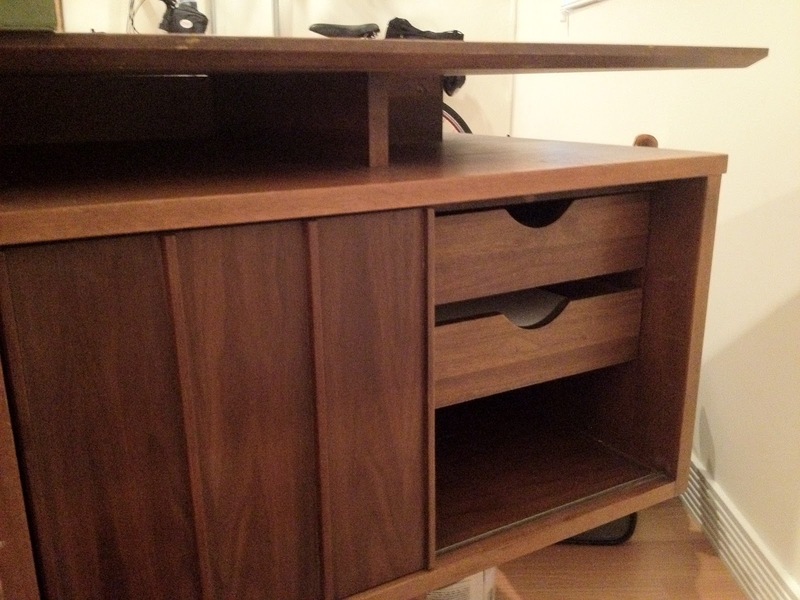 With that in mind, we are letting go of this cool mid century modern office desk. It is too small for us to utilize and we are looking for a table that is narrow in depth and extra long in width. Hopefully, Juan and I will be able to show you our finished workspace in a few short weeks. 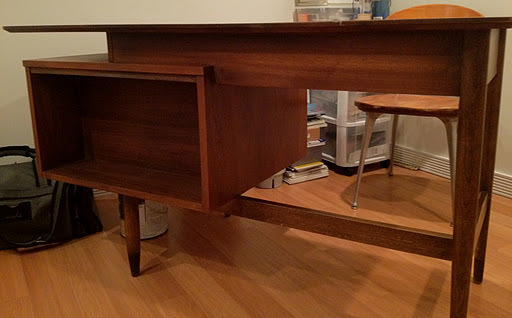 In the meantime, if you are in Arizona and have a need for a beautiful walnut mid century desk….it’s ready to go to a new home! ﻿I really enjoy creating new spaces that add a lot of organization and function to a room. Everything has a spot. Easy to manage and easy to keep clean is my motto. I am constantly thinking about ways I can declutter or make better use of items I currently own. Sometimes it’s thinking outside the box and reinventing something (like my cash drawer into a cool bead divider) that makes it funstional. By the way….what have you found on Craigslist or other venues such as garage/yard sales, vintage shops etc. Would love to see and be happy to share your latest finds and organization ideas in your small space.